Crown Relocations | Book your move within NZ to be in to WIN! Book your move in New Zealand with Crown by 28th February to be in to WIN an iPad! That’s right! If you book your domestic move with us by the 28th February, you could WIN a 9.7″ iPad 128GB. A thin, durable aluminium design – it weighs less than 500 grams! Need a New Zealand moving company? We’re here to help! 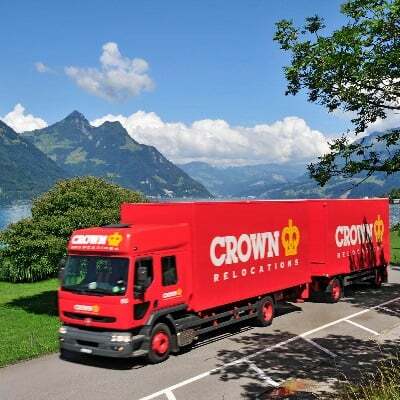 Crown Relocations provides a complete furniture removal service throughout New Zealand specialising in removals, storage, movers insurance, relocation services and lots more. We will even relocate your vehicles and pets! Our eight strategically placed office and warehouse facilities are located in Auckland, Wellington, Christchurch, Hamilton, Tauranga, Palmerston North, Nelson and Dunedin. From these locations we service all regions from Cape Reinga to the Bluff. Whether you have a full house load or a few boxes you can trust us to get you there with a smile on your face. We’ve been in the business for over 50 years moving kiwi families and households. Get a free moving quote today! Don’t forget – book your domestic move with Crown by 28th February and you are automatically in the draw to WIN an iPad! *Open to NZ residents only. The winner will be announced on our website on Monday 4th March 2019. The guys today were fabulous. I can’t remember when I’ve had such great service from every part of a business. You and the team have all really impressed. Thank you! I was blown away by how easy everything was and the customer service of everyone at Crown! We wish to thank you and your team for a seamless transition. The guys were fantastic and would definitely recommend your Company to any of our friends and colleagues.